Bina Bangsa School - Indonesia: New School for Me! I recently have the chance to work in one of the international schools here in Indonesia and while I couldn't be more than grateful of the new job, it was a struggle at the beginning. Well, the usual birth pains for most people, that is. However, after three months of teaching among the senior secondary students and their junior college students, I begin to like the job. Thanks to the working environment - support of fellow Filipino teachers among others, the adjustment has become lighter. Indonesia's weather, food, public works and highways including urban structures are almost similar to that of my home country, well except for the spicy food that seems to be the base for most Indonesian food and that you get to see drivers on the right seats instead of the left - side drivers that dominate the Philippine highways. Bina Bangsa School is a Christian international school that follows the Cambridge curriculum. We have teachers of various nationalities - Americans, Singaporeans, Indians and Filipinos that tops the numbers. 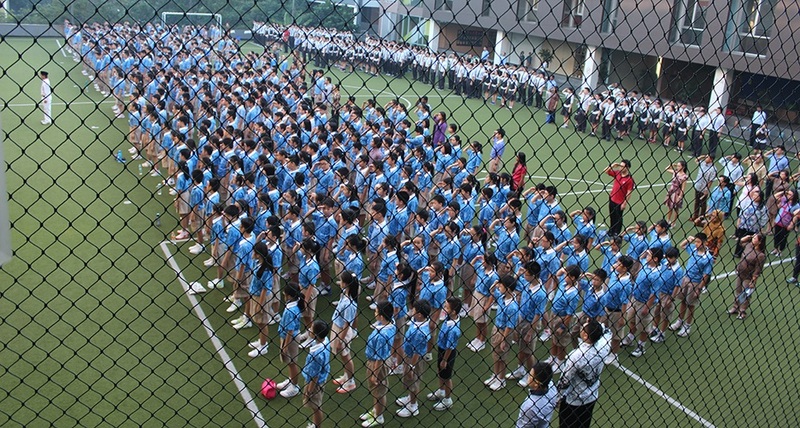 It has 6 schools in different key cities of Indonesia with BBS - PIK with the most number of students. What I basically love with this school is the fact that they are focused on academic excellence but with year - wide extra curricular activities including musical concerts for the most inclined. You would oftentimes see students with their varying musical instruments as part of their subjects of focus and I could only wish that I can get the great deals for my kid and make him go back to music camp and play his violin again. Teaching is a hard toil but when you get to teach in a good school, it makes the job less burdensome. While Bina Bangsa School has its imperfections, I could say I'm seeing more good things than its downsides. I am pretty sure that most graduates of this school can do great things with the school's prep for their university admission. 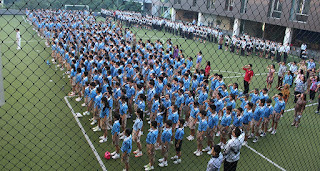 In fact, this school has been producing top achievers in the world and in Indonesia based on their IGCSE exam results. And, being one of the teachers, I can only take pride. It may be still too early to see truly the culture of Bina Bangsa School but knowing that there are teachers who have been here for years, something then is good from this institution. I could only hope for the best.